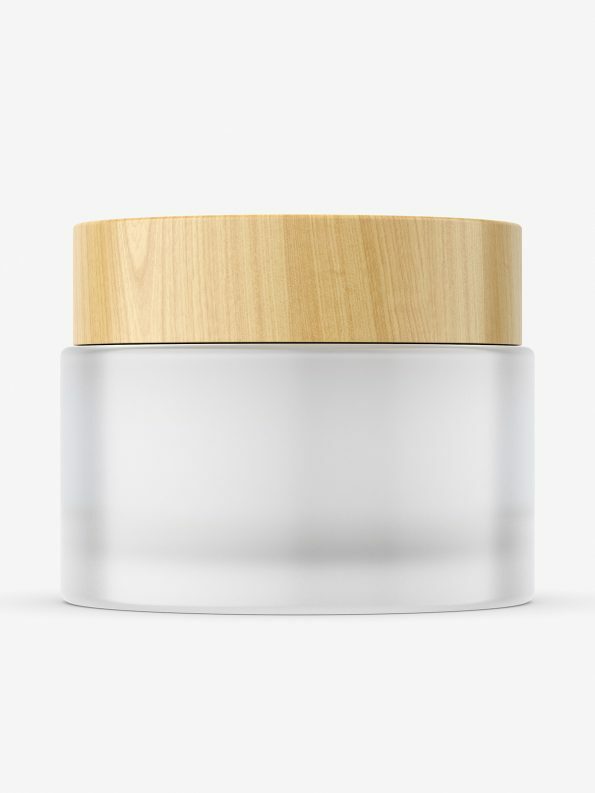 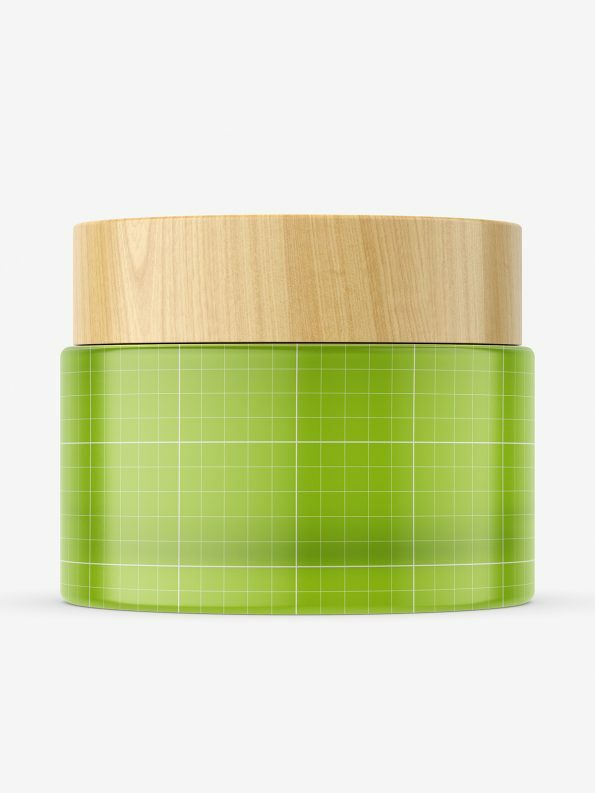 Frosted jar with wooden cap mockup. 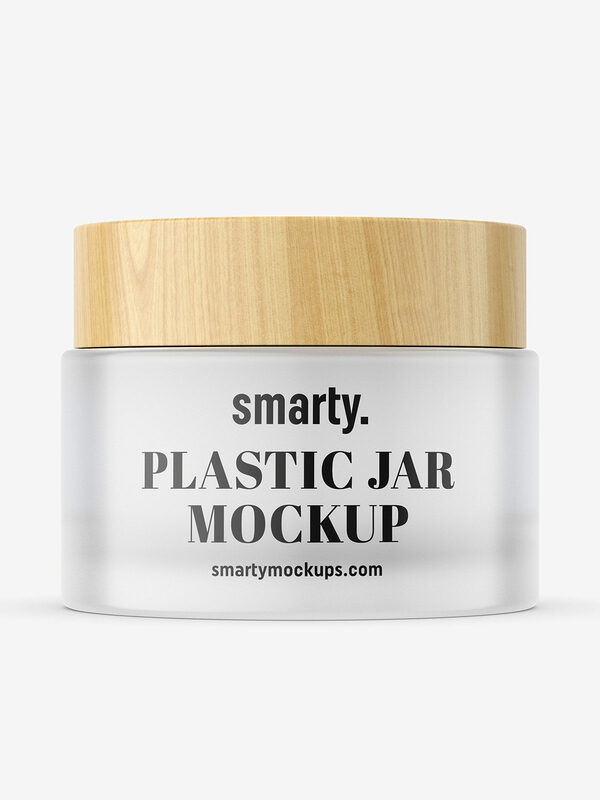 Prepared in high resolution with ability to paste your own project. You can control highlight strength.